It is sometimes necessary to have a court appointed guardian for people living with disabilities. This is usually done after a doctor makes a determination that the person is no longer capable of handling his/her personal or financial affairs. There are two types of guardianship proceedings recognized in Illinois. The first is the guardian of the person, which as the name implies, handles the personal decisions of the Respondent. These decisions can involve choices for health care or basic care management. The second type of guardianship is called the guardian of the estate. When someone is appointed in this role, they have the ability to handle the financial affairs of the Respondent. This would include paying bills, securing/protecting assets from waste, or applying for various financial benefits. If the parents of a child die, or if a child has been abandoned, is inadequately cared for, or is abused, a probate court may appoint an adult, who is not the child's parent, to take care of the child or his or her property (a "Probate Guardianship"). The Probate Court can only grant a probate guardianship if the child is not involved in a Family court or Juvenile Court action. A guardian generally has the same responsibilities as a parent, and is responsible for the child's personal needs, including shelter, education, and medical care. Petitioning for guardianship is a fairly complex process that can be confusing for a non-lawyer. 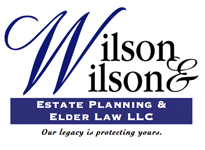 However, at Wilson & Wilson Estate Planning and Elder Law LLC, we have years of experience in these courtrooms. We take pride in guiding families through this procedure as painlessly as possible. If you think one of your family members might need a guardian, please contact us today. You can also call and schedule a consult with one of our guardianship attorneys at 708-482- 7090.